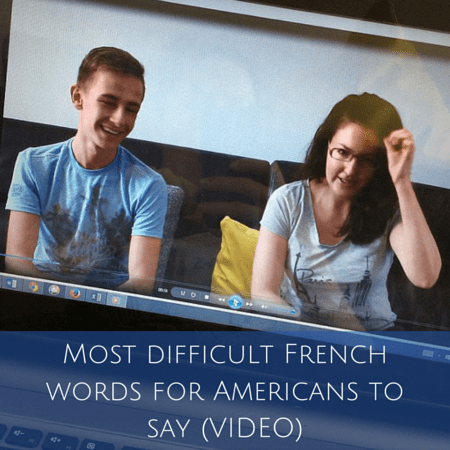 The French language is far from easy and one of the most difficult aspects for new learners of the language is pronunciation. Some words just don’t come out correctly. Ever. It’s fine if you’re just passing through as a tourist, but when you live here and have to master the language to get by, nailing your pronunciation is of the utmost importance. You can make yourself understood with bad grammar and other mistakes, but if no one can understand the word you’re trying to get out? Yeahhhh, that’s not fun. It is funny though — after you’ve had time to reflect over two three glasses of wine. I’ve been fumbling around with French for a few years now and I still botch a whole bunch of words. It’s a fun hobby of mine. I have many. Below is a short list of words that are difficult in French that give Americans trouble (and maybe most English speakers although this is based on my personal experience as an American). And according to Tom, I’ve greatly improved. 😉 So there’s that. 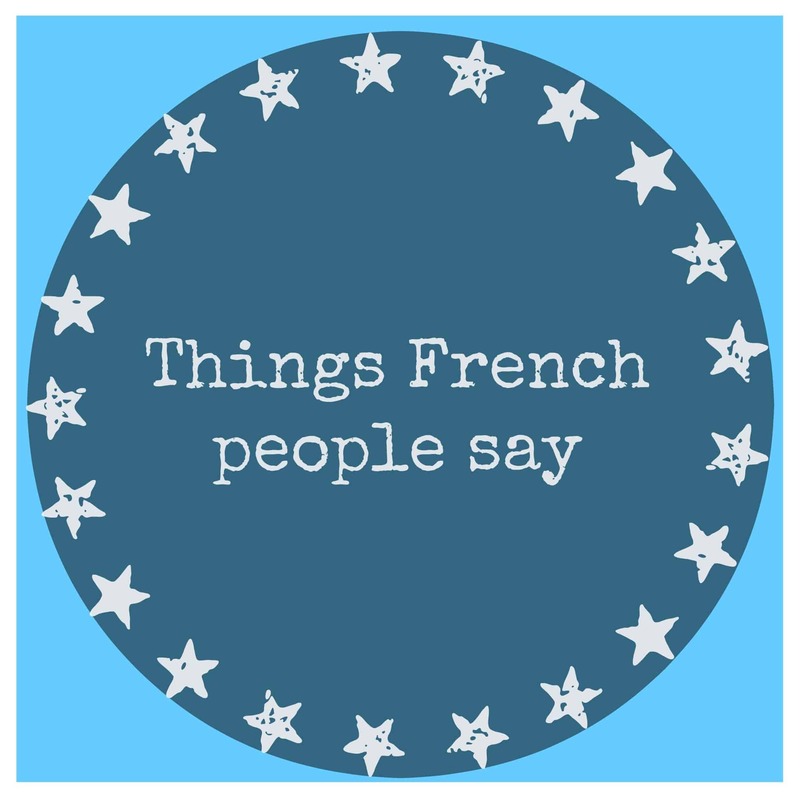 Curious about French words that are nearly impossible for Americans to say? This video is my take on the hardest French words to pronounce. 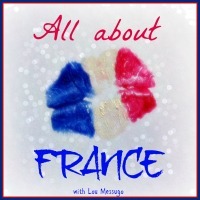 Here’s my video debut on Oui In France. I’m joined by my friend Guénaël (I call him Gwen because it’s easier to get out) who is demo-ing the French for you (Tom is camera shy). I met him at the gym and learned he had done an exchange program a couple of months prior in Washington State. So we hit it off and take classes together at the gym. And he helped paint my house because he’s awesome. Excuse the nervous moving around. The French “r” is what nightmares are made of. And I had plenty before my French teacher Yvonne sat me down and taught me how to say the “r” correctly and I’ve never looked back. Some of these words are perfectly understandable when pronounced terribly but others won’t be recognizable. So say ’em right(ish)! 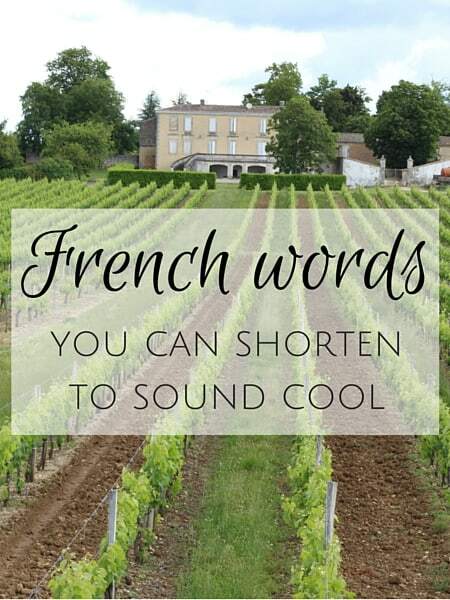 What are the hardest French words to pronounce for you? Quinquaillerie. Luckily you don’t use this one too often. It’s the hardware store and is annoying to say. Écureuil. This one means squirrel and is a little tricky for the tongue. On the flip side though, squirrel isn’t that easy for French speakers to say in English. Grenouille Sticking with animals for a sec, the good ol’ frog is difficult to say. But once you’ve got it down, andouille is a piece of cake. Rassassier. This one means you’re full. Use it after you’ve eaten a good meal. Roi. This one means king and words starting with “r” tend to be trickier than those that just have an “r” in the middle. Rare. And if the word has an “r” in the middle and beginning. Eek. I can more or less say it slowly but in a sentence? I sound like I’m choking. Rue. You’ll use this one a lot so nail the “r” and make sure you’re saying “u” not “ou.” A roue is not the same. Reims. Just in case you’re unsure of the pronunciation, let Guenael clear this up for you. It’s not pronounced like reems. Too bad I don’t live in Reims because I can oddly say this one pretty well. These words aren’t super difficult and don’t contain the letter “r” but the vowel sounds can be a little difficult to master. You’ll be understood (context helps) but English speakers usually say these incorrectly. Just noting a couple because the list is huge. Une. Comes out like “oon” if you’re not careful. École. This one means school and the vowel takes some practice. Aurore. THIS IS THE WORST NAME EVER. To say, I mean. Aurore is a lovely female name. Really, I have nothing against it but I think it hates me. Thank god I don’t know any Aurores in real life. I know how I’m supposed to say the name in theory but I break it down into two choppy, slow syllables to get it out properly. Otherwise it comes out like horreur which is definitely bad. Like I said, glad I don’t know any Aurores! Aurélie isn’t a piece of cake either. Said fast, it sounds like Orly (as in the Paris airport). What words in French are the most difficult for you? 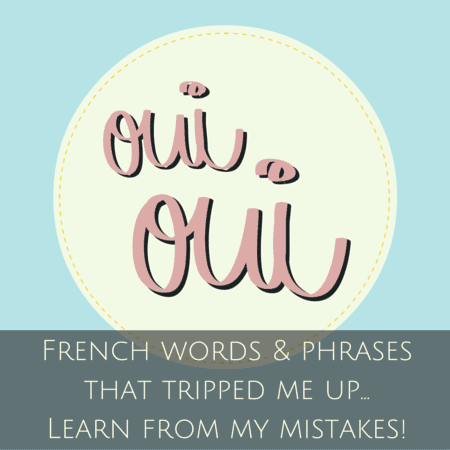 And for my French readers, what words give you the most trouble in English? Tu as une bonne prononciation ! Tu te débrouilles très bien ! by the way, do American easily say “the next best thing”? It’s a nightmare for me!! Haha glad you liked it. I did try to very clearly and loudly say my words. For the comedic effect of course. Practice makes perfect! I think I should do a tongue twister video. Those are hard in all languages! The next best thing requires a bit of annunciation and effort but isn’t difficult for a native speaker. Just keep working at it. Thanks for checking out the video! Beautiful work Diane ! Very well put together ! I think that your french is excellent ! It’s obvious that you have worked very hard on the language and the culture as well ! Yes, I think that you should do more films for your blog ! You have a great talent for this and it goes along with your writing ! Have a beautiful day ! Thank you for the compliment. I hope to make more. I do try very hard because I don’t want to be seen as the stereotypical lazy American — I live here, not a tourist. A little practice here and there goes a long way. Enjoy the rest of your day! Loved it!!! You guys make a great team. Thanks Claire, Guen is a great sport. He’s a local student and is pretty good at English so is happy to participate. Turning the tables on him for the next video though…. I love this video! I’ve been practicing saying “roi” for 3 years and still can’t get it to come out right. My boyfriend is French and has a hard time saying “squirrel” so I don’t feel so bad flubbing up “grenouille”. I’ve given up trying to say “rarement”. I’ve decided to go with “pas souvent”. I do the same hand movements to get some of the more difficult words out of my mouth – too funny! Merci! I think I’m turning the tables in the next video and having my French guinea pig say difficult words in English. I may have to convince Tom to play. Maybe even do a part two. Just realized surgeon is tricky in French. The hand moves channel my nerves when the pressure is on. I don’t know. I do it if I have to repeat but in regular speech I keep my hand moves to a minimum. I think anyway. It’s a mental thing and so happy to hear I’m not the only weirdo! Sorry again it took so long. I think I procrastinated. But this post has already been a hit so I think I’ll make more videos going forward. Don’t apologize for your name — it’s great! I love it! Really. What’s your nickname, I forget if you told me. Just A? I can say that. Better than calling you horreur. OK, I think that sounds familiar and I asked you about the nickname before. Does it mean anything or it’s just a cute name? Yes I will hopefully do some more videos soon. We’ll see. It was my plan to put the word in a text bubble in the video but editing proved to be more difficult and time consuming than I anticipated. But on the next one I will make sure to do it. Otherwise just click the video title and watch it in YouTube for anyone who wants to see the words — they’re written in the description there if you watch the video on YouTube. Yes I saw the words in the description afterwards! And I know how much timing texts in videos is a bore… good luck for your next videos! What a fun video…looking forward to more! 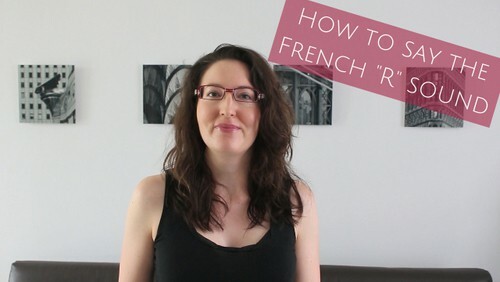 So what was your French teacher’s secret to pronouncing “r”? Basically she explained how to say the sound correctly, instead of us just blindly trying to copy what we heard, and after that 2-minute lesson, I could get out the “r” sound properly in most words. Before that day, many of us in class exaggerated the R almost making a throaty/gargling sound because that’s how we thought it was done and in the video I exaggerated a bit as well for effect. But the tongue placement is very important. The way my teacher taught it was to lightly rest the tongue behind the bottom teeth (w/the American R the tongue moves int he hollow cavity of your mouth. Try saying the letter R in English kind of forcefully, see how your tongue moves and kind of pulls back/up?). In French the “r” sound is cut off w/the throat and not the tongue, if that makes sense and is much gentler than I thought. If you or anyone reading would find that useful, I can try to do a video demonstrating. Let me know! Aurore still kills me though. Thanks for the tip…this is a little easier. I’d love to see a video. Funny video! The comment about differences in tongue placement when pronouncing “r” sounds in french and english is really interesting. I’ve never had a problem with “r” sounds in french and sure enough mine ends up moving exactly where you described (in both). Words with “euille” sounds give me trouble, i.e. veuillez, or feuille. Breaking the word up into smaller words representing each syllable has helped me, i.e. “veut”-“oy”. It still doesn’t come out exactly right. Pronouncing the word transport and having it sound remotely authentic is hard for me. If I do the Diane-hand-gesture thing where I push my hands down while letting my mouth open a bit wider at the end of the “port” sound, it helps a little but still doesn’t come close. I have said “Reems” after hearing an American say it and never thought about it. I should have realized it wasn’t pronounced like that. 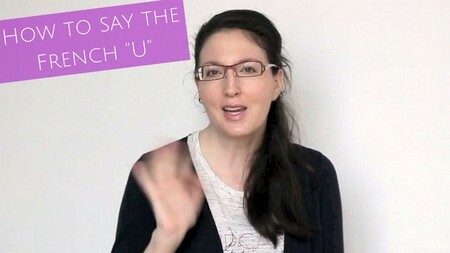 I remember the nasally “U” in une feeling very strange and self-conscious when I learned it because Americans don’t pucker their mouths so much when they say any vowels, but I try to sound authentic when I speak, so I practiced it correctly. I like to try to sound as French as possible. I remember my boyfriend trying to order frog legs in France and they had no clue what he wanted. I think they pretend not to know sometimes. Even with horrible pronunciation, you know when someone is trying to say grenouille. Interesting video. Thanks! +1 Montmartre. Definitely hard. After having rented two apartments there, I still can’t say it. Bloody hell I found this so funny because I tried to say the French words and failed terrible…………..
Glad you got a few laughs out of it. 😉 The words aren’t easy! Good job. So professional with the video! I’m glad I’m not English AND with an ‘r’ lisp in France. In my own small way I’ve got my own back by naming one of my dogs Hector. Yeah, it’s really not easy. I find that if I’m nervous or speaking fast I pay less attention and that’s when the mistakes happen, so I try to focus. Oh my gosh. You guys are too cute. You look great, by the way. Your on-camera personality is magnetic. As to pronunciation, I always remember your having a very good accent. I think I’m one of Those Americans who says “ooon” for “une”, at least if I’m not concentrating. A funnier mistake that I’ve made was once to have confused stable (écurie) with squirrel (écureuil). Thanks David, very nice of you to say. But it’s only because you know me in person! I may do a video on the ‘u” vs “ou” sounds. We’ll see. I have to get the mic issue figured out (hard to record in an open space with hard wood floors) because right now there’s an echo and it’s not great for videos on pronunciation. And yes, very easy mistake to make. Stable and squirrel sound so similar! Love your video. One word in French that is difficult for me is arrondissement. Thanks Jackie! Yes, that’s a tricky one. 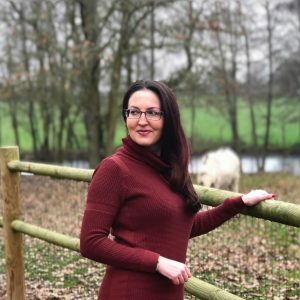 I just stumbled across your blog when looking for French expat blogs.I am hopefully starting my French course next month and am looking at the possiblity of coming over to France to do my language study after my beginners courses are done here. This post was brilliant, it made me laugh as I would seriously struggle with some of those, it’s nice for someone new to a language to know that other’s struggle too when they are stuck on something. I can imagine the rolling R’s are going to be a big issue for me. I love living vicariously through your posts! As a French teacher (many, many years ago) I always taught my students, as someone else must have taught me, that to make the “U” sound, start with a wide smile and say “EEE”. Then gradually move your lips to a pucker while continuing to say “EEE”. Voila–“UUU”! This is brilliant Diane! I agree with all those words though I must say I’ve never stopped to think about école, I’ve never considered it difficult but now I wonder if I’m pronouncing it wrong after all these years! (My eldest has been in French école for 13 years, going into his 14th!!!) I’m hopeless with the “R” and one word I’ve always struggled with is tilleul (lime or linden tree). I know, it’s not an everyday word, but I’d put it up there with écureuil in terms of how often it’s used…there seem to be many auberges de tilleul around! Thanks for linking up to#AllAboutFrance again, sorry I took so long to read your posts, I’m only just back from my mega road trip. I’ve just thought of a really difficult word for me which I have to use a lot – don’t know why I didn’t think of it before “handball” or more commonly referred to as “hand”. As you’ll know you can’t pronounce the H so it comes out something like “awnd”/”ond” My son plays at a high level (and is on a week’s long stage now) so I really do have to use it a lot! I pretty much laughed during the entire video! It’s true, the words above can be a nightmare for every foreigner, but you have improved very well!